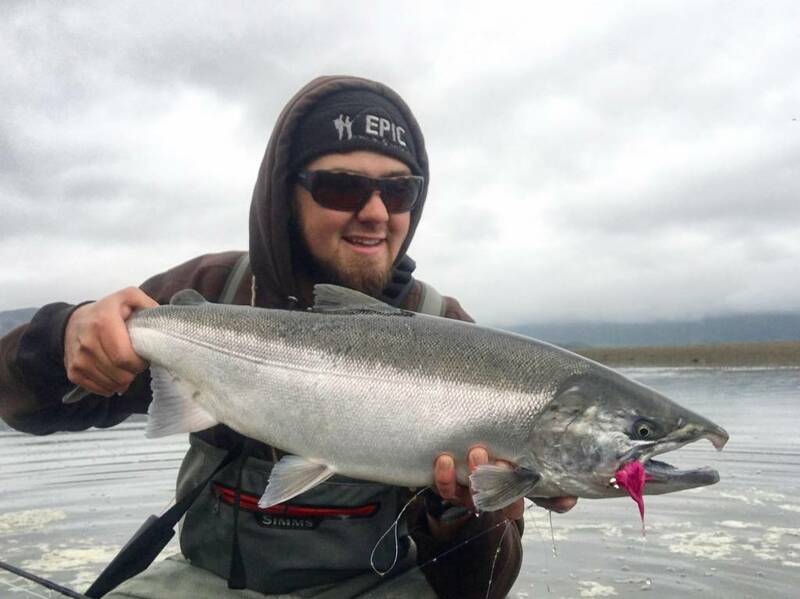 The Montana Fishing Guide School helped Don Mutert become a succesfull guide at Epic Angling and Adventure in Alaska. We checked in with Don to get some of his thoughts from his week in guide school. Don Mutert joined us during our October 2016 guide school. At the time he was a stone fabricator here in Bozeman and was looking for a change of scenery. 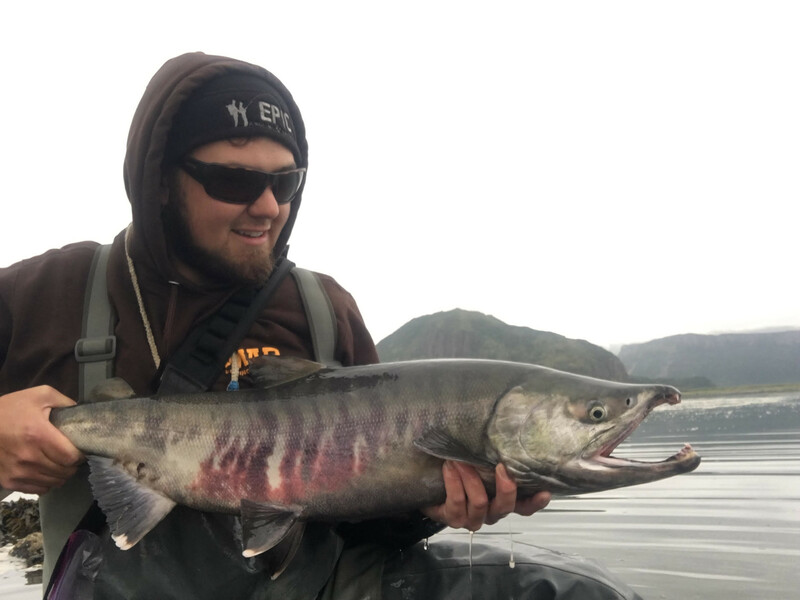 Guide school helped him get outside, and move north to Alaska, where he has become no stranger to fresh, bright Salmon on the fly. Why did you sign up for guide school? So I could better myself in the fishing industry and learn the secrets and professionalism for what it takes to be a fly fishing guide. What was the best lesson learned from guide school? There are so many lessons learned, that it is hard to pick just one. There were great little secrets for tying on flies and setting up rigs fast, the professionalism required, and the important parts of always making sure your clients are having a great time! Favorite story from guide school? My favorite day would have been the first day in the drift boats when a lot of students haven’t rowed before, and some were doing circles down the river. By the end of the course, everyone could handle the oars well enough to put people on fish. Where are you guiding now, or where has fishing taken you since guide school? Currently, I am guiding at a remote bush camp called Epic Angling & Adventure, in Alaska for Salmonoids. Now that you're guiding, looking back, what was the most important takeaway. The one single thing would be the safety of my clients. In guide school, we learned the importance of helping clients get through tricky crossings and always making sure we know where they are. This is even more so important now that I am working at a remote bush camp. We are hundreds of miles away from the nearest help and there are brown bears around every corner. Keeping your clients safety at the top of the list is always very important. Do you still keep in contact with anyone from guide school? I keep in contact with almost the entire class. It was such a great group of people who have a passion for fishing. I fish with some of them every now and then, but most of them live out of state. If someone were to ask you why they should sign up for guide school, what would you say? I would tell them that even if they aren’t planning on becoming a professional fishing guide, it is a great course that teaches you how to become a better angler and all the proper techniques to get you and your friends or clients on fish! This was a great course that taught in-depth information on what it takes to make it in the fishing industry with instruction from the best guides in the field. The course will give you the background, confidence, and connections to help you make it in the fishing industry!